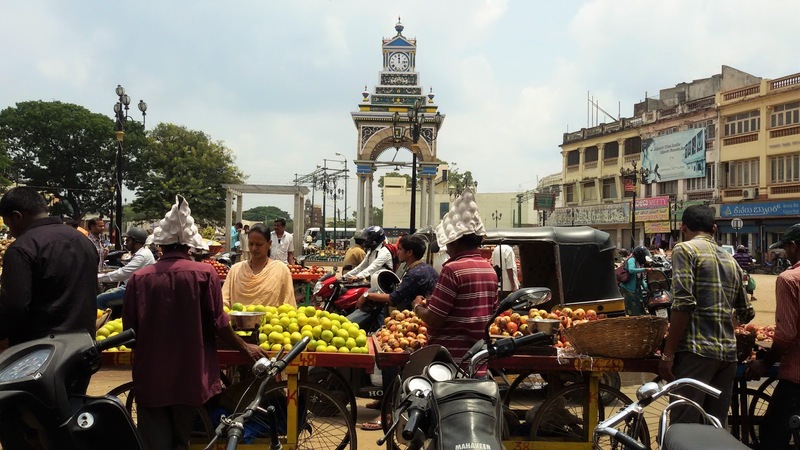 The Devaraja Market - Exploring Mysore. 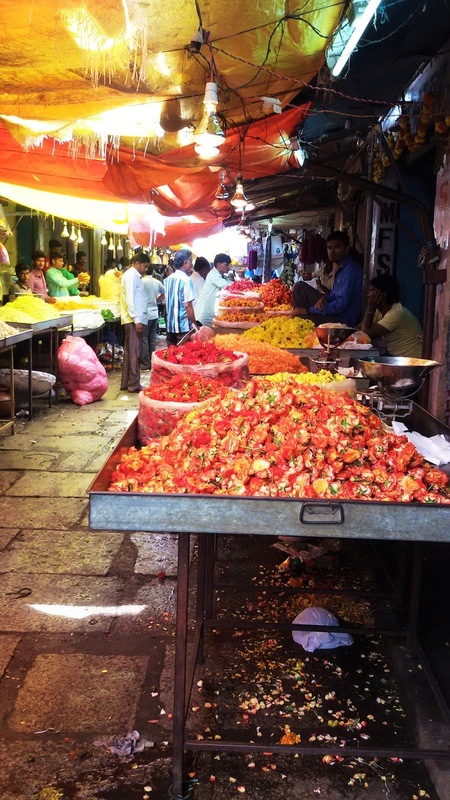 Would you go to a new city and plan a walk tour through a vegetable and fruit market? Maybe not. 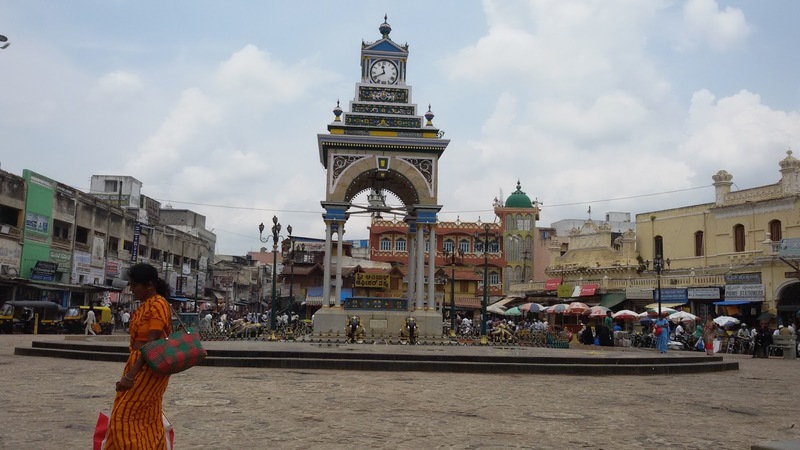 After all, Mysore is so famous for it's palaces, museums, temples and the zoo. The zoo, if you haven't been to, you just have to go!!!! It's the best zoo I have been to. So, back to my question. Would you visit the market then? The market's first few days could've been easily a good 120 years ago. (Just imagine that!!!) 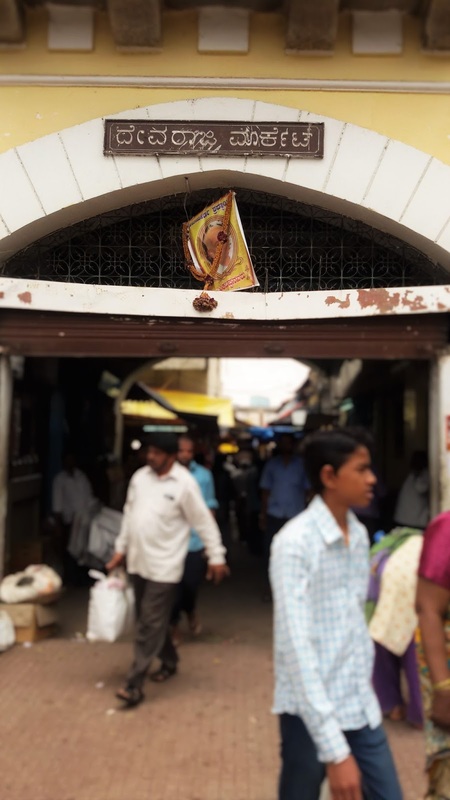 The place where this market rests was called the Devaraja Mohalla(neighbourhood) - named after one of the 2 successive rulers Dodda Devaraja Wodeyar and Chikka Devaraja Wodeyar. It is located along the Sayyaji Rao road - and is easy to find. The day was not too sunny, quite pleasant. A whole bunch of vendors sit by the road selling fruits, paan(betel) leaves, small steel vessels, coconut water and spices. Every time a police van comes, you can see the vendors abandoning their tiny stall, only to come back a while later. After a walk along the small and clean streets of the city, and stopping ever so often to admire the plenty of olden houses on the way, I reached the very normal looking entrance of this market, an entrance that tucks away an entire world inside. So how do you do this 'photo tour or walk'? Without much ado, just enter the market ! Don't think too much. Of course, if you have a local friend, it's even better. This is the entrance to the market. It's quite crowded, throughout the day, and in my opinion, this gives the market it's amazing local flavour. 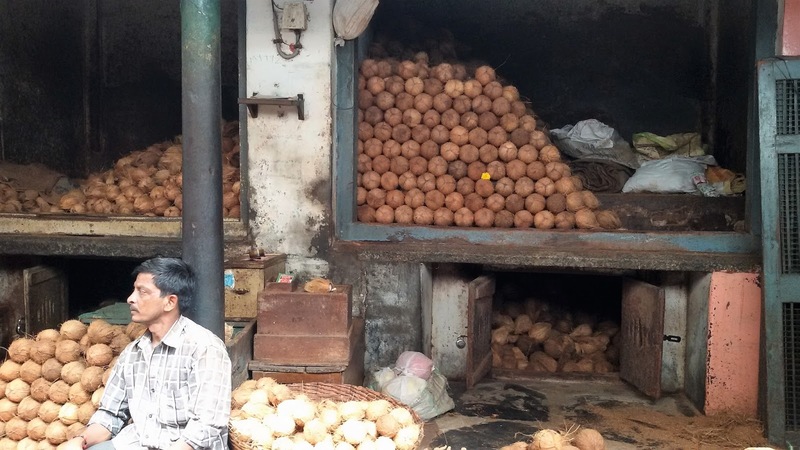 Seeing the Mysoreans haggle prices and buy their daily goods. The market has an old world charm, small heritage stores on narrow lanes in an almost perfect grid. You can buy wholesale or retail. The fruits and vegetables come in every morning in trucks from nearby farms - no perishable item is stored in freezers, or so they say. The moment you enter the market, you can feel the cool - courtesy the chaotic shade and plenty of fresh vegetables, fruits and flowers. You will also be amazed to see so many different items being sold here. Also, the bargaining skills of the everyday goers. Wear comfortable walking shoes - some areas may be damp. Remember, it's a market, not a mall. So get into the correct groove else you'll find yourself grumbling soon. You need to bargain - like heavy artillery negotiation - so leave your shy self behind. 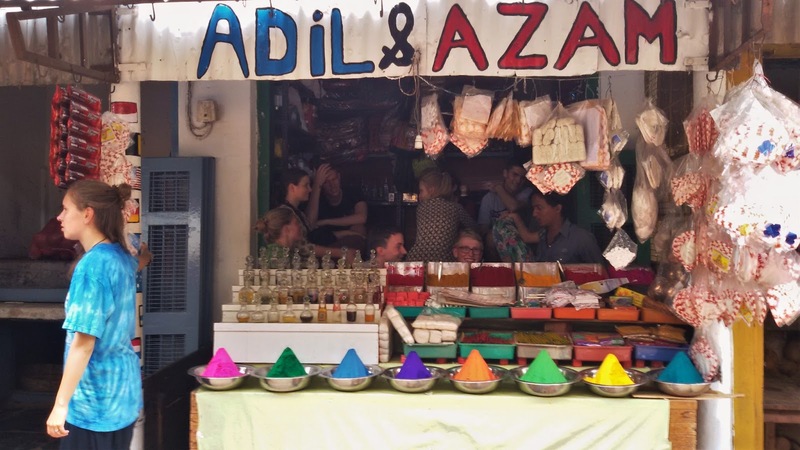 I was very surprised to see a lot of tourists piled up in this tiny store called Adil & Azam. 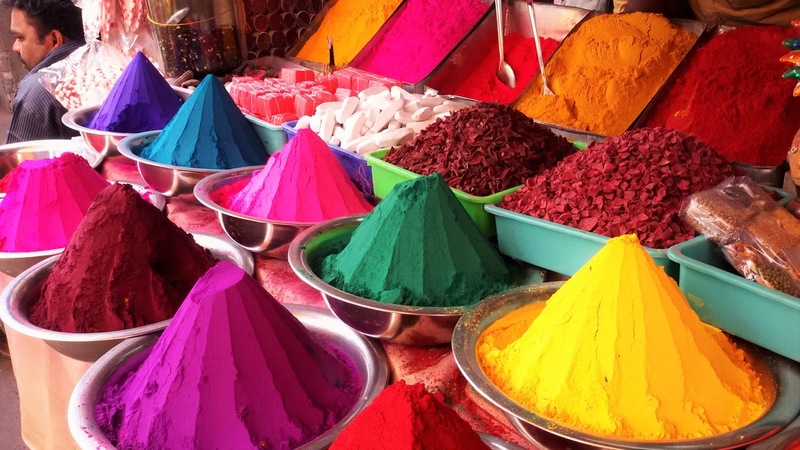 The store sells colourful rangoli powder, perfume, Indian masala and spices and lots of other interesting stuff. It turns out that this store belongs to 2 brothers, Adil and Azam - who invite people to their store, entertain them with a convo and a chai. My eyes hurt - in a good way - when I saw this. It's so perfect, waiting to be photographed. No wonder this market is sometimes called the rainbow market. One more of this photo - maafi ! 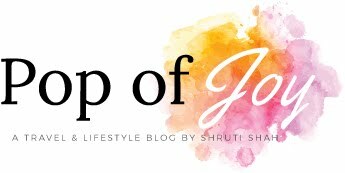 Called rangoli colours - they have a variety of uses. And if you have time, some store owners will patiently tell you how and what. Traditional house holds draw intricate and colourful rangolis in front of their doors or in courtyards. Would you be amazed if I told you that this particular store, before I reached, sold some masala to a few monks? Masala, and Monks ! Outside of Mysore, there is a whole community of Monks living in the Namdroling monastery. As you walk through the aisle, where around 800 traders make a living daily, you can get the scent of a hundred flowers. Roses, marigold, jasmine or the chrysanthemum give out such pretty smells. Just remembering the scene makes me go, 'Ahh, whatta smell'. So, you ask me what I bought? What I spent my precious money on? Definitely not the oil or perfume. Because it's easier to get duped with inferior quality! Plus, I can't negotiate for nuts. So I bought some jaggery and some clay diyas. 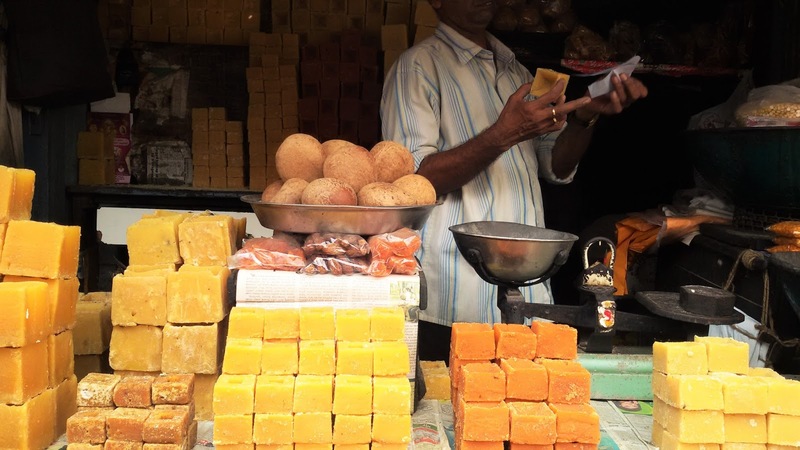 The small to medium sized cubes of jaggery lay stacked neatly on newspapers. The small cubes were being sold for below Rs 20. I thought it was very resourceful of these vendors to have made hats out of empty apple cartons. The entrance is on the other side of the clock tower, and this is outside the exit. It's definitely a must experience place, especially if you want to see what the real 'Mysore' is. Also, if you're into making city videos, photo blogs and stories or just about any interesting content, or you're looking for some inspiration, Devaraja Market is a must go! Have you guys already been there? 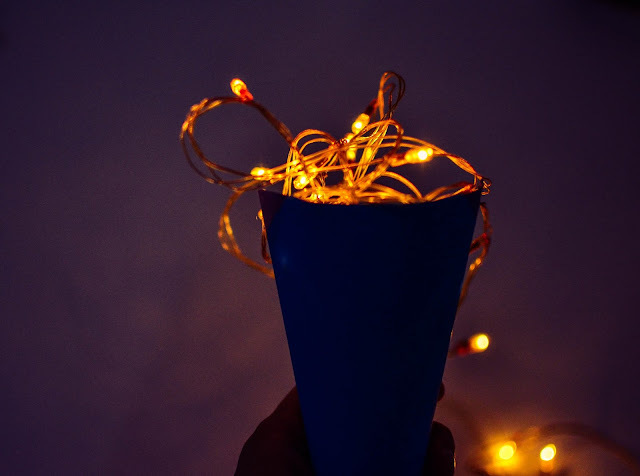 Do let me know, leave a comment below! Great post! 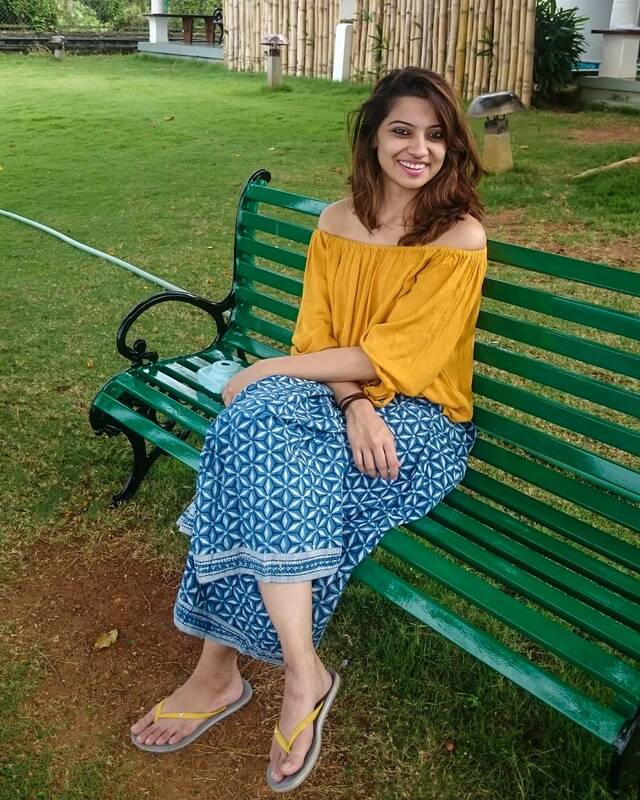 Mysore is mostly talked for its rich and appealing palace and historical places, but this post of yours is a refreshing one. 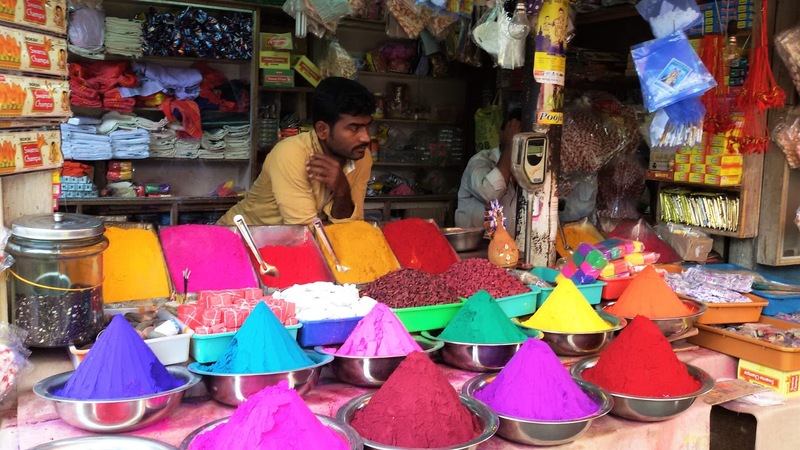 Your focus on the Devaraja Market takes attention to a colorful place. 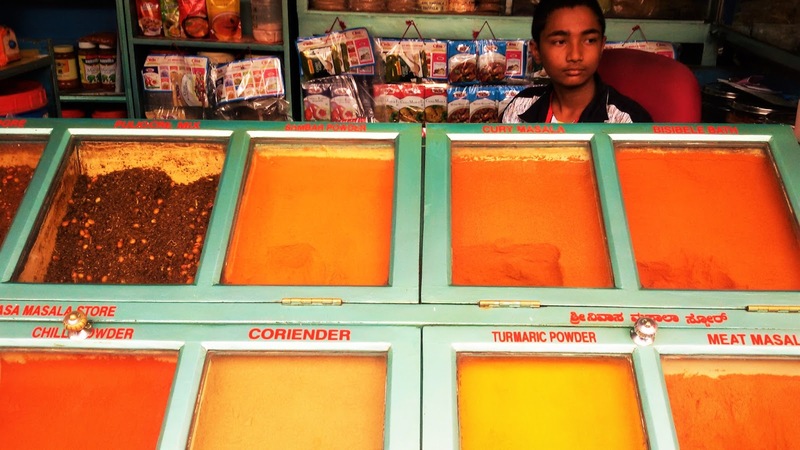 The pictures of the market oozes color that freshens up the mind.